Castles in Scotland are Magical Places.. Choose a Castle to Suit Your Occasion! 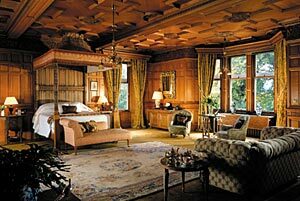 If you want to experience something quite out of the ordinary.... castles are what you are looking for. 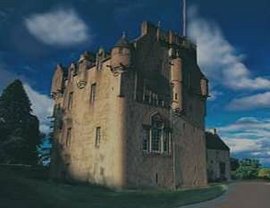 Castles in Scotland are individuals and have their own distinct personalities! Some are said to be haunted and certainly look as if they are! The one has a brooding personality! 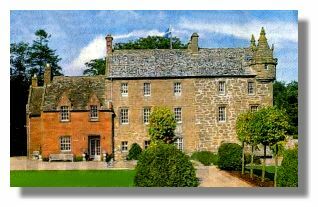 This is Meiklour Castle in Angus..
An aside..interesting feature of Meiklour..a real curiosity here..the famous (at least in Scotland!) 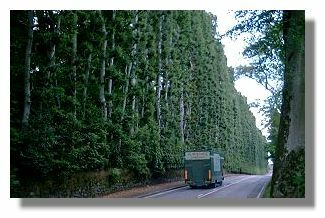 One Hundred Foot High Beech Hedge..here is a picture of it. I remember marvelling at this when I was a child. Imagine trying to clip this hedge! These castles are often used for weddings…and you can see why…....they are so romantic! Some of them sleep up to 30 people, and come with maid service, pool service (yes pool!) staff and every amenity you could imagine. 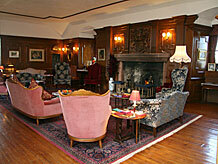 Or if you prefer to have the place to yourself, they can be "self-catering" too. 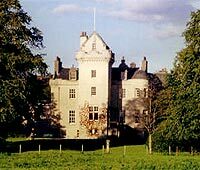 Sure, quite a few of Scotland's castles are huge, draughty, gaunt places, but a lot of them have been modernised with all the comforts of home, recessed lighting, plush carpets, soft and comfortable furniture, central heating, air-conditioning..fit for royalty really...or you! 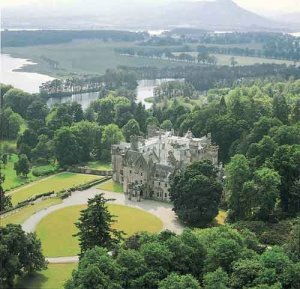 This is Skibo Castle,to the west of Dornoch in Sutherland, built to its present grandeur by Andrew Carnegie but started in 1128, where Madonna and Guy Ritchie tied the knot.. 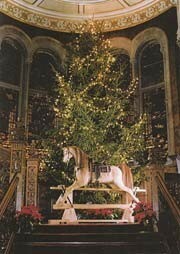 It makes a very spectacular setting for a wedding..here is a picture of the main hall.. This charming castle was for sale last time I looked! 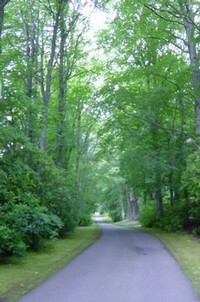 This one comes with 1500 acres, three miles of coastline and a livestock farm...! WOW! 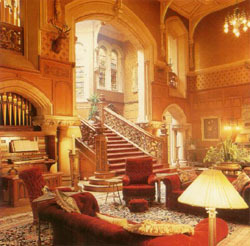 Here's one called Castle Stuart in the Highlands.. 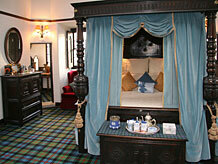 This is a lovely bedroom inside Castle Stuart..makes you feel like a King..or a Queen..! 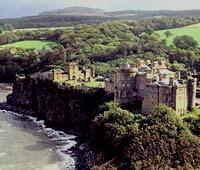 Here is beautiful Culzean Castle on a cliff in Burn's country, Ayrshire..(Robert Burns, as I'm sure you know, is Scotland's answer to Shakespeare). 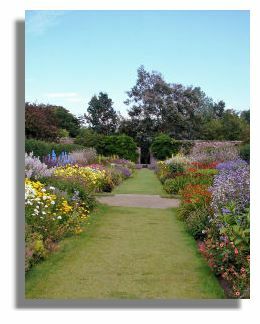 One important feature of Culzean castle I neglected to mention and that is The Garden..and this is really some garden. A lot of the castles in Scotland have wonderful gardens which are worth visiting even if you never set foot inside the castle! 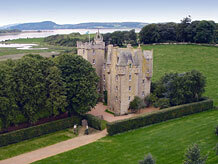 For more information about renting a castle go to Celtic Castles or Scotts Castles. They can help you make arrangements for all kinds of occasions, weddings, business meetings, group outings, family get-togethers, and all in the most magnificent and story-book surroundings..I know you'll enjoy choosing just the right one!